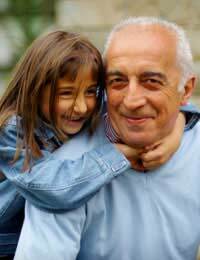 Having a step family affects more than just the immediate family and the role of grandparents, especially, can be changed with the arrival of step children. We catch up with one step grandparent and find out what it’s really like being a step grandparent. Jeanne, initially a grandparent to two grandkids, suddenly found herself a grandparent to five, after her son remarried. “I was really pleased that my son had another chance of happiness, after his first marriage sadly failed. I loved being a grandparent to the two little ones, but suddenly having three more did take a bit of adjusting,” she admits. It was strange at first and I think they were a bit wary of me for a while, as they obviously had their own grandparents already and were used to how they behaved with them. As important as it was to get to know her new step grandchildren, Jeanne is keen to emphasise that she also tried to build on the existing relationship she had with her two grandchildren, so they didn’t feel left out in the process.